Keefe The U.S. Supreme Court has narrowly upheld President Barack Obama's healthcare reform law, saying that the provision requiring individuals to purchase health insurance falls under Congress' taxing powers, not the Constitution's Commerce Clause. Quinn Gov. 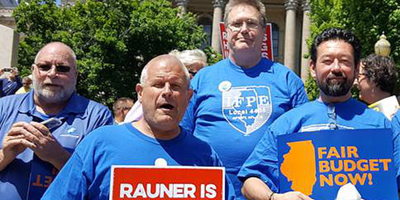 Patrick J. Quinn today put his stamp of approval on a handful of Medicaid-related bills, including one proposed in direct response to a 2010 Illinois Supreme Court ruling over property tax exemptions for non-profit hospitals. Clayborne A two-year-old Illinois Supreme Court decision that snatched the property tax exemption from a central Illinois hospital could have a "chilling effect" on all state hospitals, says an area lawmaker. Murnane President Barack Obama's consideration of medical malpractice reform during Tuesday's State of the Union address prompted a positive, yet cautious, reaction from Illinois Civil Justice League (ICJL) President Ed Murnane. Fitzgerald In a 4-2 opinion, the Illinois Supreme Court has overturned the state's medical malpractice reform law. Blagojevich signs bill into law in 2005. More than four years since medical malpractice reform was enacted in Illinois, stakeholders anxiously await a state Supreme Court decision on its constitutionality. When Cook County Circuit Judge Diane Joan Larsen declared a state law establishing caps on damages in medical malpractice cases unconstitutional, her much anticipated ruling prompted an outpouring of criticism as well as praise. Murnane CHICAGO -- Cook County Circuit Judge Diane Joan Larsen ruled that a law enacted in 2005 by the Illinois legislature violates victims' rights by capping damages. Ann Callis traveled 300 miles from Madison County to Cook County to appear before an audience that has been highly critical of her courthouse for decades. Ed Murnane Officials from the Illinois Civil Justice League (ICJL) and members of a newly created Madison County medical malpractice committee met last week in Chicago to discuss problems involving the judicial system and lawsuits against doctors and hospitals. Echoes of praise rung from major backers of medical liability reform after Governor Rod Blagojevich signed reform legislation into law Thursday. Dr. Burger An against-all-odds legislative victory for medical liability reform advocates unfolded as Governor Rod Blagojevich finally signed the state's medical liability reform bill into law Thursday. It would have automatically become law Friday had he not signed it. Sen. Frank Watson announces agreement A monumental bipartisan medical malpractice insurance reform compromise was reached Wednesday evening in Springfield which would cap non-economic damages at $500,000 for doctors and $1 million for hospitals. Dr. Craig A. Backs Talk of a caps bill passing in the State House this spring had the Illinois State Medical Society buzzing with optimism.